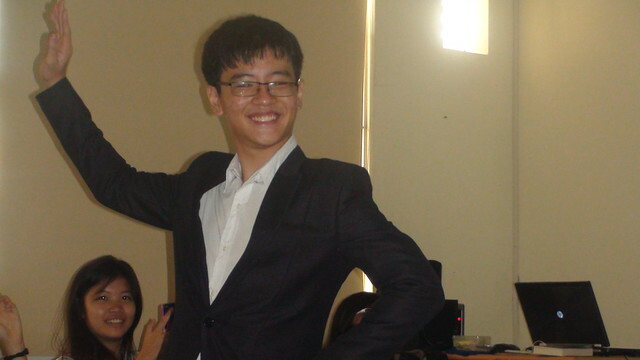 ROOM B301 - Despite short preparation time, the boys of class A1 - 1316 won their girls over with a fashion show, cakes, a fledgling band and a sneak peek at their upcoming movie, co-produced with 11A2 boys. 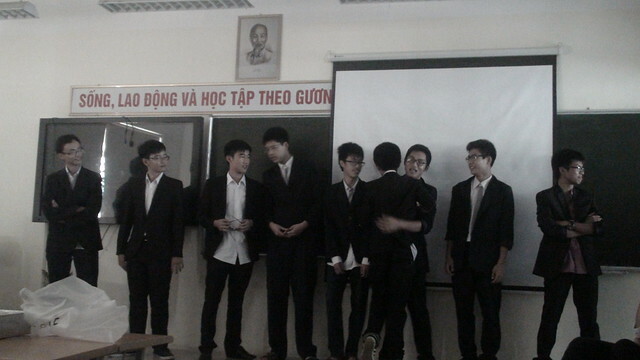 By 6:55 a.m., October 20th, 2014, all the boys of class 11A1 had arrived at room B301 to embark on a special mission: to enchant 11A1 girls with a fabulous celebration of Vietnamese Women's Day. 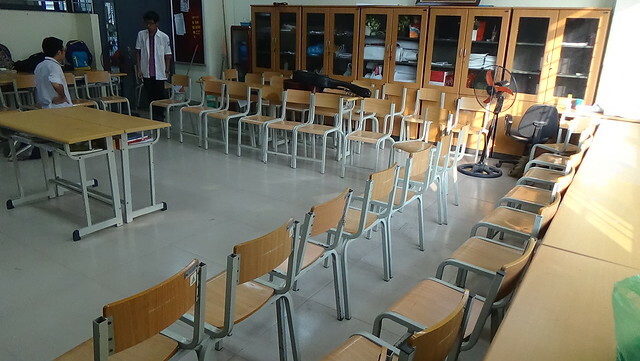 Immediately, the logistics team (read: everyone) started to clean up the classroom and rearrange the desks. The plan was drawn out carefully before the day there were no signs of preparation. Even on the very morning, most of the boys would attend the weekly flag salute ceremony as if nothing was happening. 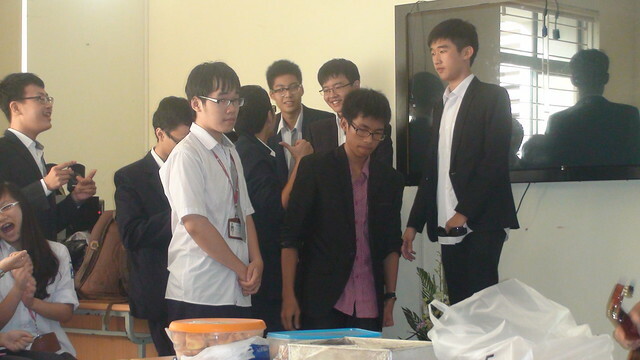 But then everybody came to the classroom, SURPRISE! All boys had put up their handsomest suits, and the desks had been arranged in a U-shape. Our girls were invited to their respective seats, and the program started soon afterwards. 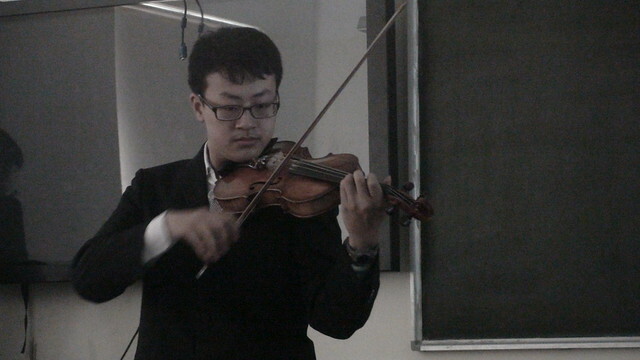 Kicking off the spirit were guitar and violin performances. Then the main part of the program began with the trailer for the movie "No Budget". A joint production with class 11A2, the movie promised ninja actions, intense drama, and of course lots of laughter. The desks had been arranged in a U-shape. Third came fashion show, when the boys walked around and posed. Each of them had their own peculiar gait, but it was then enhanced with a dose of seriousness: they cat-walked in suits. The boy cat-walked in suit. Because every school day should be a serious day. Delicious home-made cream puffs were handed to each girl with care. 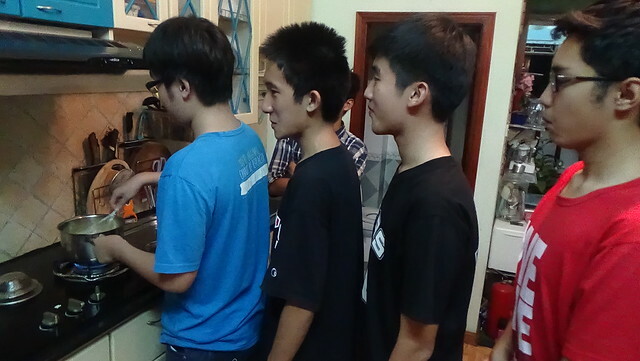 To make all the puffs, the boys had to stay up late the previous day. The results were not very good looking but the clumsy texture was sign of the sincerity to be found nowhere else. 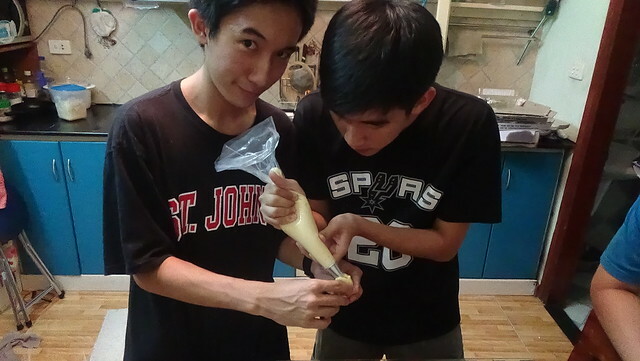 Preparing the cake with care (and sanitation). A mini game show, "The Dish is Right(ish)" was organized during break time. After that came the last article on the agenda: celebrating the day with boy-made tiramisu cake. 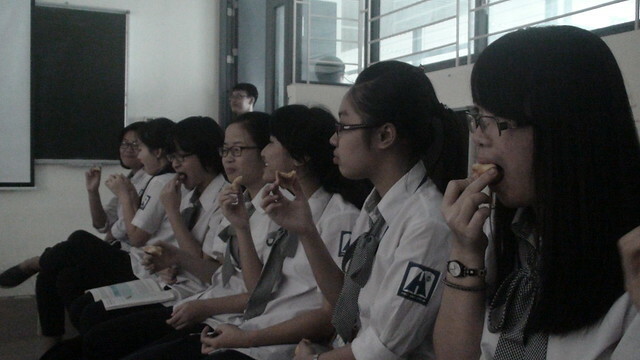 Ms. Anh Duong, our form teacher, was invited to have the first slice. Each girl also had a piece of the yummy cake. As a tribute to Mr. Quang of house Luu, the patron of the program, everyone enjoyed the cake in his highness's favorite Indian style: bare hands, no utensils. 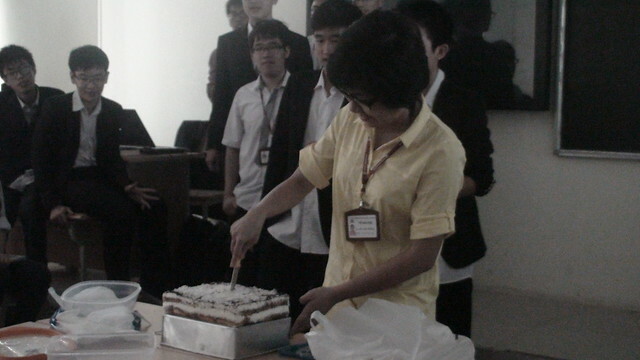 Ms. Anh Duong, our form teacher, was invited to have the first slice. The program closed with a speech by the class monitor, who represented all girls in the class. "We thought you were too busy to mind October 20th," she said "but you never fail to surprise us. Thank you so much!" But we are the ones to say thanks. 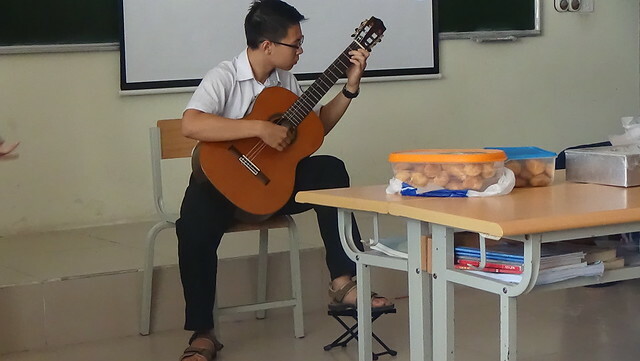 Thank you for coming to class every day and delighting us. Thank you for being our irreplaceable desk-mates, group leaders, and monitors. Thank you for the moments you spend with us, because as a class we stay with each other through thick and thin. We all wish you smiles every day, so that you will always be our youthful, talented and pretty A1 girls.